Kerry Acupuncture holds Clinics in both Ballybunion and Tralee so wherever you are in North Kerry and West Limerick, there will be a clinic close by. Glin, Duagh, Ballyduff, Abbeydorney and Tarbert, Castleisland , Ardfert, Fenit and more are all within a short driving distance . 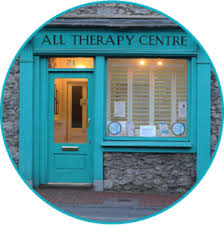 The clinic in Ballybunion is a stones throw away from two amazing beaches, and the glorious Cliff Walk. Seaweed baths are located only a couple of minutes walk away from the clinic. Ballybunion Health and Leisure Centre is another wonderful facility, available in the town, housing a Sauna, Steamroom, Jacuzzi, and Swimmimg Pool .So why not make the most of your trip to Ballybunion and utilize some of the wonderful amenities on offer. 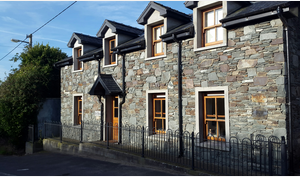 12 The Brambles, Kit Aherne Road, Ballybunion. 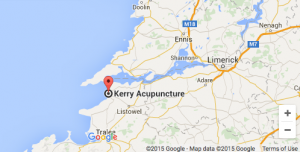 Kerry Acupuncture holds a clinic in The All Therapy Centre, Tralee. The All Therapy Centre is centrally located in the Heart of the Capital of Kerry, and is considered to be Kerry’s leading Natural Health Centre. Address : 21 Rock St, Tralee, Co.Kerry. Phone Christina on (086)8619246 for more information and bookings.